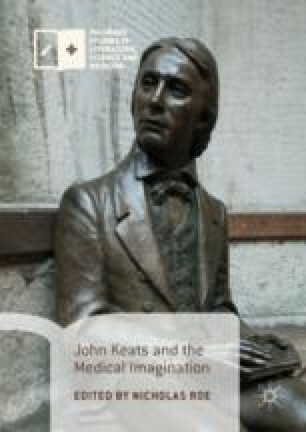 John Keats and the Medical Imagination contains ten chapters, originally presented to the Keats Foundation Bicentenary Conference at Guy’s Hospital, London, in May 2015. The conference theme was ‘John Keats: Poet-Physician, Physician-Poet’, marking 200 years since Keats enrolled at Guy’s in October 1815. The chapters gathered here range from freshly researched information about John Keats’s day-to-day life as an apprentice apothecary and at Guy’s Hospital, to new and far-reaching explorations of how medicine and medical pathology informed his poetry and thought. Southey, Robert, Collected Letters, ed. Lynda Pratt, Romantic Circles (2009), at http://www.rc.umd.edu/editions/southey_letters/Part_One/index.html.